The survey results are in! Here are the top challenges writers face, and how some of those lead to hiring a ghostwriter. We are often approached by people who can’t start writing their book or can’t finish it. 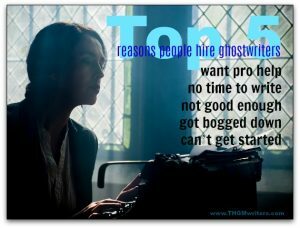 Those are two of the biggest reasons people hire a freelance writing service like ours.